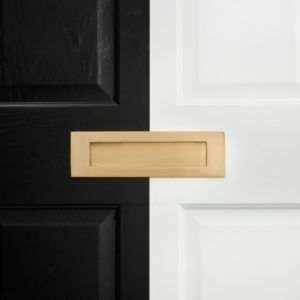 This entry was posted on 13th April 2018 by admin. 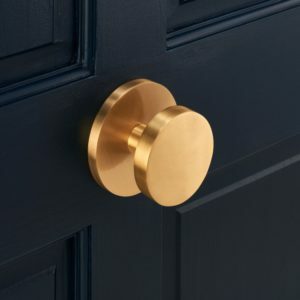 Give your entrance and door a gorgeous makeover with our timeless brass gold door accessories to decorate your external doors. 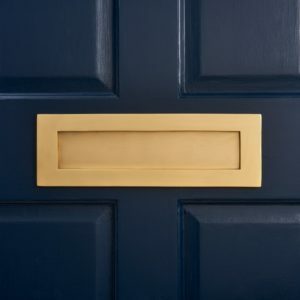 You can add some curb appeal and a luxurious look to your door with our new brass sprung letter plates, our brass centre door knobs, our brass door knockers and our gold art deco house numbers. 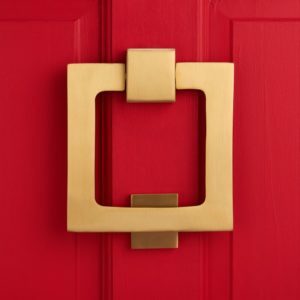 Our brass décor accessories come in assorted designs. 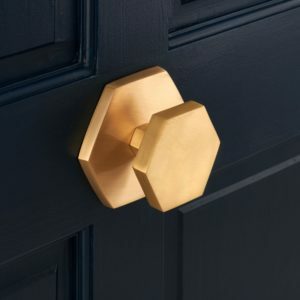 The unique and lavish centre door knobs come in swanky geometric shapes from the more traditional rounded design to square and hexagonal. 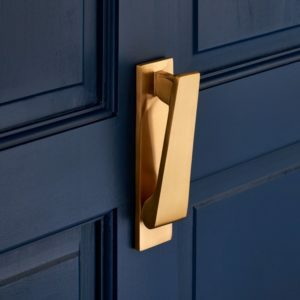 Our gold door knockers come in a slim vertical design for a sleek look and in a square shape for added pizazz. 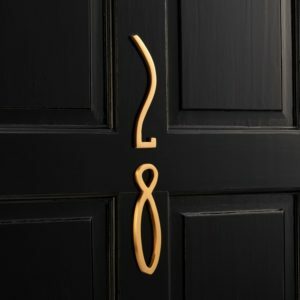 Our gold house numbers come in an elegant art deco inspired style and are available in all numbers and letters A, B and C.
Brand new to the Pushka Home range are our gold letter plates which come in a larger and smaller design and have a sprung mechanism. 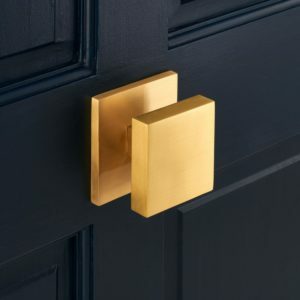 Inject a bit of the Midas touch to your home with our golden door accessories which are sure to add some allure and style to any door exterior. To view these just click on the images below or click on the link below.